I would like to purchase a copy of the catalogue. 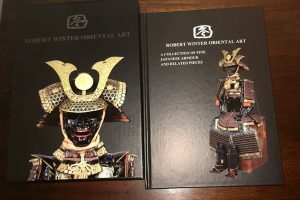 Would appreciate if you could pls sign the cover, for my Samurai armor book collection. Pls advise total cost for shipping to Singapore (I do not mind a slower shipping option), and whether can pay via PayPal, thanks.